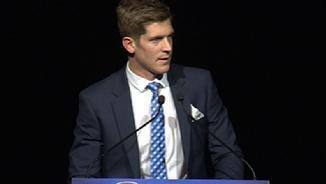 Nick Dal Santo says criticism of the club's handling of his recent delisting has been disappointing and wrong. 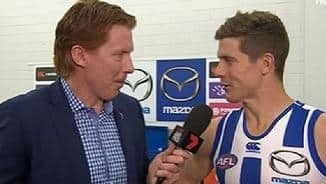 With five wins from five games, and close to a best-on-ground effort, Nick Dal Santo has reason to smile. Could Dal be the difference? Dal to wait one more? Recruited from Bendigo Under 18's, as a junior Nick Dal Santo was already regarded as a natural footballer who always had time and space to dispose of the ball well. Drafted by St Kilda with pick 13 in 2001, Dal Santo made his AFL debut in Round 4, 2002 against Geelong at Simonds Stadium. After playing 26 games in his first two years, the left footer was in the side for the 2004 season opener and didn’t look back; a best 22 player for the rest of his time at the Saints. Kevin Sheedy compared Dal Santo to triple Brownlow Medalist Ian Stewart, and in 2005 he earned his first All-Australian selection. The left footer was part of a quality Saints outfit, appearing in three consecutive finals series from 2004-2006. 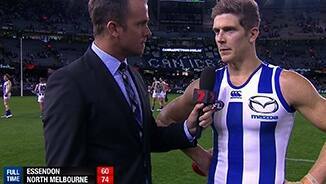 In 2008, Dal Santo was surprisingly dropped, but the demotion spurred him to recapture his best form. He was one of the Saints’ best players in their semi-final victory over Collingwood. 2009 and 2010 brought the veteran’s two best seasons in terms of disposal numbers, with 670 and 641 respectively. There was an All-Australian selection in 2009 to go with his Grand Final appearance. From 2011 to 2013, as the Saints’ form slipped, Dal Santo’s form still maintained its usual high standards. However after a 16th place finish in 2013, his time at St Kilda had come to an end. 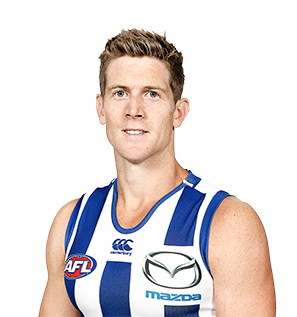 North Melbourne picked up the elite ball user in the free agency period. 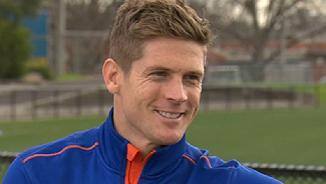 “He slotted straight back in after what was the first long-term injury he’s had in his career. “He really looked after himself, he got his hamstring right and was able to play in the midfield and on the wing. “He showed us how important he was in the second half of the year with his polish and his ability to finish for us. 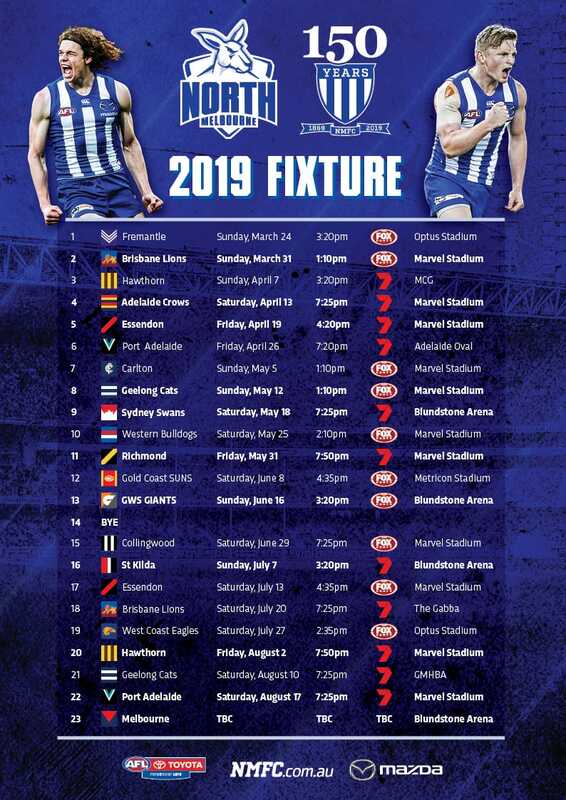 North’s prized signing over the off-season period, Dal Santo wasted no time making an impact by being added to the leadership group at his new club. Quiet in Round 1 against Essendon, he quickly turned things around with an outstanding performance against the Bulldogs (32 disposals) the following week. With his class and polish a vital addition to the Kangaroos’ side, he excelled both across half-back and through the midfield at different times. 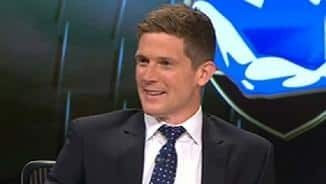 A quiet patch late in the home and away season didn’t dampen his spirits, and Dal Santo returned to be one of North’s most influential and consistent players throughout the finals campaign. His experience in September came to the fore against Geelong in the Semi Final with a best-on-ground performance. 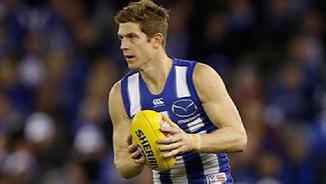 Despite turning 30 during 2014, Dal Santo showed no signs of slowing down.